,Greetings from SCEC this February! What an election result! "Queensland to give hope to all of Australia"- didn't expect that?! Things are turning positive in our state and should give 2015 a refreshing start to the issues closest to us. Check out our campaign updates below to see what's been happening with Halls Creek, Sekisui House, the Mooloolah Logging area and our Climate Action Campaign. Speaking of Climate Action Earth Hour2015 is rapidly approaching (28 March 2015). This year Earth Hour Australia is focusing on climate change impacts on our farming community. To highlight the theme we are organising a once only pop up restaurant in the paddocks of Eumundi Beef. Join us for Plates in a Paddock, a 3 course meal served in the very paddock where the produce was grown! If you can't join us for Plates in a Paddock then join thousands of others around Australia by hosting your own Earth Hour dinner at home for your friends, family, neighbours and colleagues.Register your event online to help us keep track of all the Earth Hour action on the Sunshine Coast. We would also be very grateful if you can update your details for us. As an advocacy organisation we are often challenged to explain who we represent. Having your details on file enables us to say that we have so many supporters in Noosa or Caloundra, the seat of Fairfax etc. which gives our position much greater weight. Apart from Earth Hour there are several other events coming up that we'd like to invite you to as well as a couple of petitions open for signature. See the Call to Action section below for more details. A big 'stay dry' from all of us in the SCEC team and happy advocating for our beautiful environment. Halls Creek Info Session- Caloundra- SCEC's Executive Officer will provide an overview of a history and concerns about the Halls Creek. Sunset CruiseCampaign by joining us for a beautiful sunset cruise through the Pumistone Passage on 6th of March. Plates in a Paddock- Our signature event for Earth Hour 2015. Don't miss you chance to be part of this unique dining experience. Without your support SCEC cannot afford to operate. Please consider making a tax-deductible donation. You can support one of our campaigns, make a general donation or join one of our monthly donation plans. Without your support we cannot fight the good fight. Halls CreekEfforts on the Halls Creek campaign have continued unabated over the summer. We were at Woodford gathering signatures for our Hands Off Halls Creek petition and ran info sessions at Beerwah, Montville, Bribie Island, Noosa with another one at Caloundra coming up on 24 February. Our efforts have not gone in vain either with Halls Creek being the no.1 issue for many voters in the Caloundra and Glass House electorates contributing to the 20% swing against the sitting LNP members. Importantly the (unsuccessful) ALP candidates publicly stated that the ALP would remove the Halls Creek area from the SEQ Regional Plan if elected. Our efforts over the next few months will focus on working with Peter Wellington MP to ensure that this position is acted upon by the ALP Government. Sekisui House- The Sekisui House crew has been busy over summer gathering signatures on our No High Rise at Yaroomba petition at the Woodford Folk festival and running a much talked about art exhibition showcasing the many creative ways in which residents have expressed their concern about the Sekisui Proposal using the mediums coreflute and texture. An increasing number of councilors have publicly expressed reservations about the proposal and, importantly about the amendments to the town plan that would be required to even allow the proposal to be considered. It is important they know that in voting against these amendments they will be protecting the communities aspirations, so please if you haven't already done so, take a moment to call your councilor and to let them know you oppose these amendments to the town plan (click here for contact details). Climate ActionThe New Year is looking exciting and extremely active for the Climate Action Team. There is a lot happening in the climate space this year and the objective of our team is to leverage these events to make climate change a top three issue for the Sunshine Coast by the next federal election. It’s an ambitious target but one we think is achievable. To this end, we’ve kicked off a number of initiatives. For example, “Pathway to Paris” has been designed to build support for a strong Australian contribution to climate talks at the end of the year whilst “Charter for Change” provides a pathway to a show of civil group support for strong climate action. Our first signatory event is 'Plates in a Paddock' which is being organised in partnership with Earth Hour Australia. Join us for this unique dining experience with great local food, live music and a ceiling to rival the great hall at Hogwarth. The Places You Love is the biggest ever alliance of environment groups representing 40 groups and 1.5 million members and supporters. Join the alliance today and be part of Australia's largest conservation movement working to ensure better environmental protection and management from coast to coast. World renowned regenerative farmer, Joel Salatin, to visit Noosa! Join Joel Salatin for a one-day jam packed masterclass on 28 February from 9-4pm exploring the secrets of Polyface Farm systems, and how to create a vibrant, diverse, profitable and successful farming enterprise. This day will be chocker block with practical information and the nuts and bolts of how to get started and establish on-farm enterprises that are both regenerative and profitable. .. is a community get together with big ideas about the importance of connecting with each other to create a future for us and our children. Join this community get-together with big ideas about the importance of connecting with each other to create a future for us and our children. 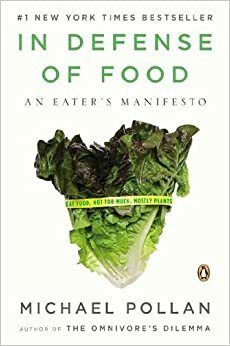 SCEC's Book of the Month- "In Defense of Food." "Eat food. Not too much. Mostly plants," says Michael Pollan. This book dives into the food industry in America to reveal that most of what we are eating shouldn't really be classified as food. It provides an alarming look into an unsustainable and destructive food industry that is spreading throughout the globe. Pollan will give you the inspiration and willingness to begin eating real food once again in his "eaters manifesto."